WHY IS WET CARPET BAD? You will read many times about how our carpet cleaning process does not leave your carpet saturated or wet. This is one of the key elements of our service that we share because in our mind wet carpet is very bad. But why is wet carpet bad? You don’t want your carpet to be wet. If your carpet is damp, it will often lead to a musty type smell that is unpleasant. Many times there is damp carpet in a basement and it leads to this smell. You also don’t want wet carpet because then your feet or your pets feet will get wet and that isn’t comfortable at all. But there are more serious reasons why wet carpet is bad for your home. If carpet is left wet for too long it can lead to carpet mold. Mold grows on surfaces that are damp for extended periods of time. Many times you will see mold grow on carpet that is wet from water damage from a storm outside or a busted pipe or faulty plumbing in a home. There are water damage restoration services and remediation services to call that are sometimes able to remove the mold and restore the carpet. But sometimes the carpet gets too wet from something as simple as discount carpet cleaning services. 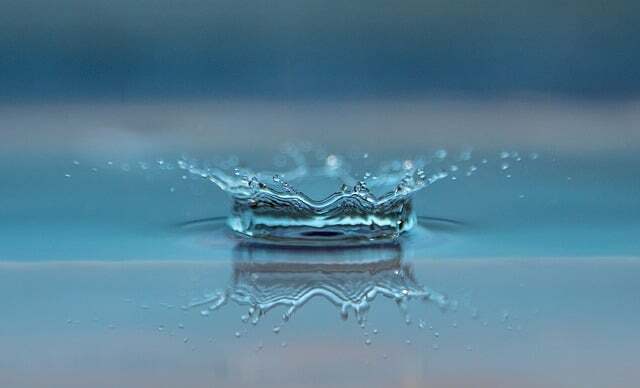 Many Fort Wayne carpet cleaners use too much water for their process. They need gallons and gallons of water to rinse out their soap or detergent from the carpet. Many times their equipment isn’t powerful enough to extract all of the water from the carpet. Best case this means your carpet is damp for a few hours and you simply cannot walk on it for that time. Worst case the carpet doesn’t dry due to humidity or other issues and it results in mold growing on your carpet. The potential for mold or permanent damage to carpet is the main reason wet carpet is bad. Most often wet carpet just leads to the musty smell or an unpleasant squish beneath your feet but there is always the risk of mold. Don’t take that risk when it comes to carpet cleaning in Fort Wayne. 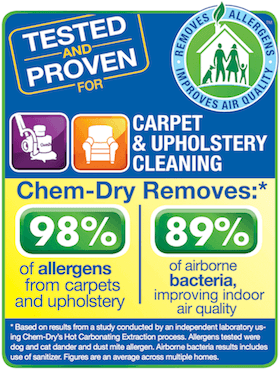 Call (260) 409-1138 for Chem-Dry of Fort Wayne. Our service uses 80% less water than companies that use soap and detergents for their service. We don’t use any soap or chemicals so we need less water. Your carpet will dry in 1-2 hours and it won’t be wet for long at all.